Innovation has become the keyword of any economic and social organization or institution. To be competitive in a socio-economic context of continuous change, to foster growth, to motivate teams, one must innovate in products, processes, organizations.... 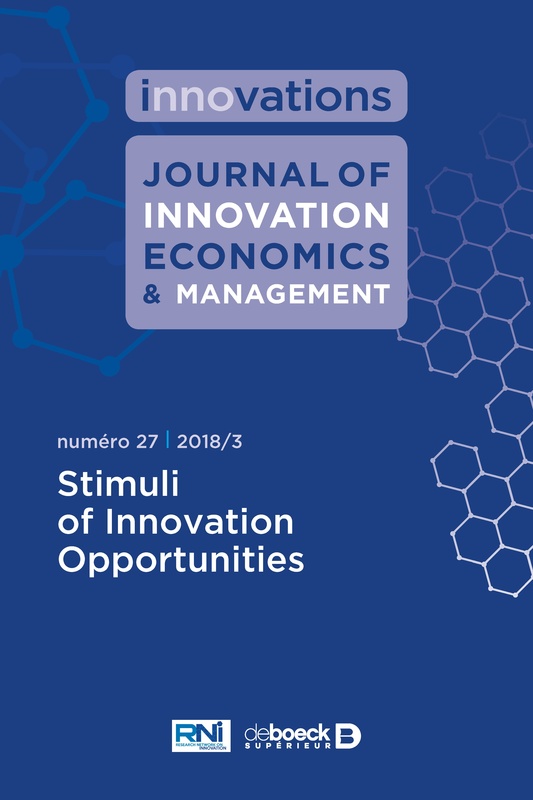 But innovation is a complex and multifaceted phenomenon and when one tries to implement it, at the company or country level, many problems arise. The box often referred to as the “black box” of innovation; referring to its long-time trivial treatment by economics, can be compared to a Pandora’s Box. 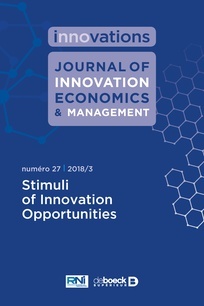 In this issue of Innovations, Journal of Innovation Economics & Management, the authors of the articles each study an element of this Pandora’s Box and also show the opportunities that difficulties have provoked in terms of creating new methods, new organizations to circumvent pitfalls that punctuate any creative process. Identifying personality traits associated with entrepreneurial success: does gender matter?